Charming good looks and rough rugged hair don’t necessarily play in favor for every male specimen. 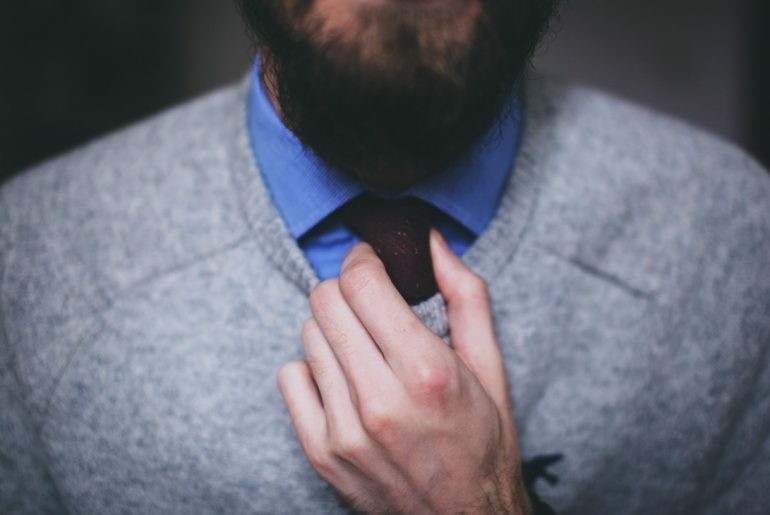 A ripped body and materialistic things won’t guarantee you a second date but a solid first impression of effort, style and humor might just get you there. A ‘Dapperman’ is always a gentleman. Here are some tricks to remember and tips to guide you. Trousers: pick a pair of trousers that fit nicely around the waist and not a pair that is too tight to the point where it starts to create the shape of muffin tops. There is nothing flattering about this silhouette. Make sure your pants are properly hemmed up if they are too long. An excess of fabric creates a bulk and interrupts the streamline look. Button Up Shirt (Long or Short Sleeved): should remain simple with quality made fabrics. For those who are prone to sweating when the nerves kick in, stick to natural fibers. Linen and cotton are breathable and range in weight, which makes it easy to dress for Spring or Summer. Subtle prints or patterns add a bit of character without saying too much. Try mixing plain fabrics with quirky buttons that compliment or add a little contrast to the shirt. Try and stick to a tailored or slim fit. Ill-fitting clothes are not an option. Colours: Should compliment your skin tone and bring out your best features. 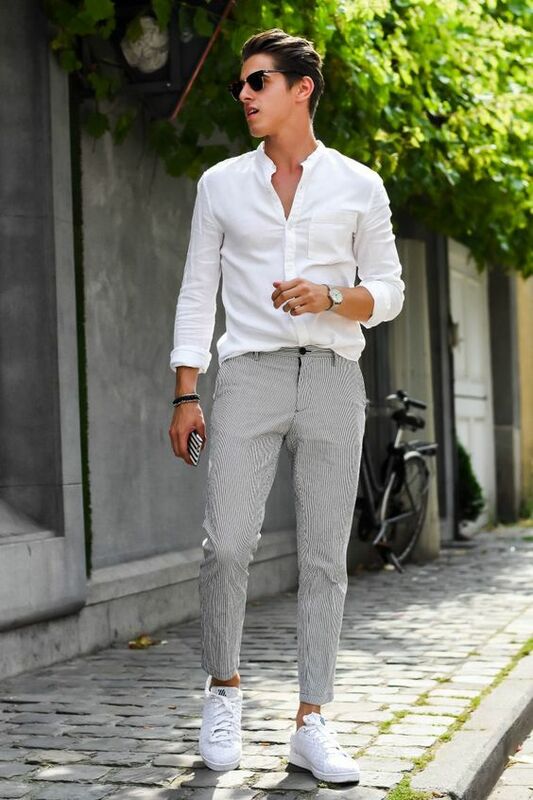 A crisp white shirt brings out that golden European tan or pastel blue for fair skin. If you want to play it safe keep to neutrals and monochrome. Keep in mind the season you’re dressing for. There is something timeless about Navy for Spring but select a colour that works well with your trousers. Shoes: These play an important part in completing any look. The only few objections to shoes are that you shouldn’t wear sandals, flip -flops, trainers or runners. Canvas shoes may be the only exception or dressy-leather trainers. Grooming: Wash and style your hair. A woman can smell unwashed hair from a mile away! Skincare in 3 easy steps: 1. Wash/exfoliate. 2. Tone. 3. Moisturize. If you have a beard, trim and oil and finish off with a bit of wax or shave everything off to reveal that baby smooth skin. Spray some cologne and you’ve graduated! Accessories: This is the final box you need to tick off on this list. Keep it simple with a low key or simple watch and add in a beaded bracelet or bangle with the exception of a micro detailing on a banded ring. If you are wearing a blazer or suit jacket, remember to include a coloured or designed pocket square to add abit of flare to your overall outfit.